Should You Talk to Your Heirs About Your Will? After visiting a will attorney in The Woodlands, you might consider discussing your estate plan with your family members or other beneficiaries. You do not have an obligation to divulge the details of your will, but there are many good reasons to consider doing so. For example, letting your beneficiaries know what they can expect to inherit may reduce the risk of a contested will . When one or more family members decide to challenge a will, financial gain is not the only issue at stake. A will contest can instigate hostilities among family members that can last for years and may even lead to permanent estrangements. It is not likely that this is the sort of legacy you wish to leave behind. Of course, deciding not to speak with your heirs about your will while you are still alive will not automatically result in family conflict. However, many individuals wish to avoid the possibility altogether by simply having a frank discussion with their heirs. Discussing your will with your heirs can grant peace of mind to everyone involved. You’ll have the opportunity to explain why you decided to leave the house to one sibling and the collection of heirloom jewelry to another. Decisions which may seem obvious to you might not necessarily be easily understood by your heirs. For example, it may make sense to you to leave the vacation home to the heir who used it the most and to compensate for this by leaving a larger sum of money to another heir. But since your heirs might not easily discern your reasoning after you’re gone, it may be wise to give them an explanation now. 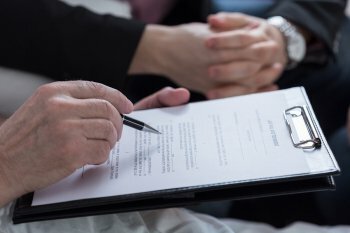 Because estate planning is a sensitive issue and many individuals hesitate to disclose the details of their wills to their heirs because they fear being pressured to change their decisions. The provisions that compose your will are entirely yours to make; no one should pressure you to change your mind. Yet, it isn’t unreasonable to listen to the responses of your heirs and consider making adjustments should they make sense to you. For example, you might have your heart set on leaving your amber jewelry to your daughter, but perhaps she doesn’t wear jewelry and would rather you left it to someone who would appreciate it more.